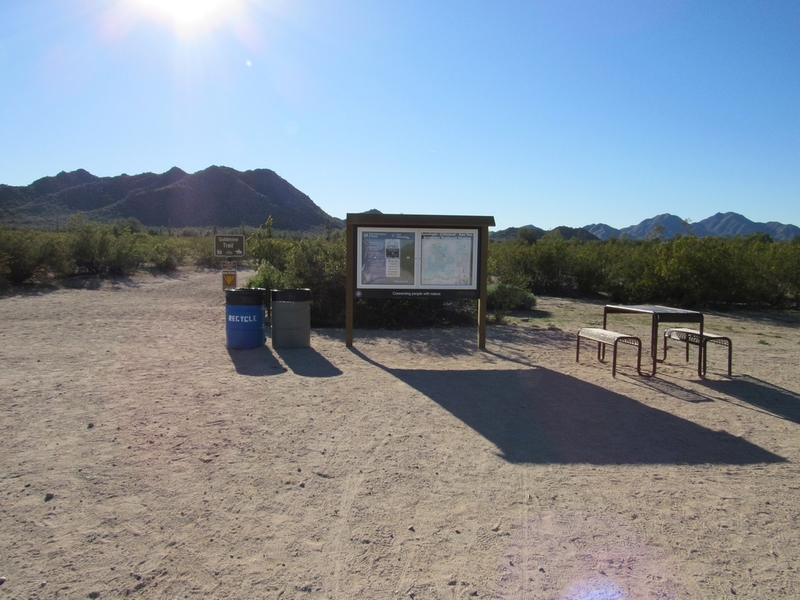 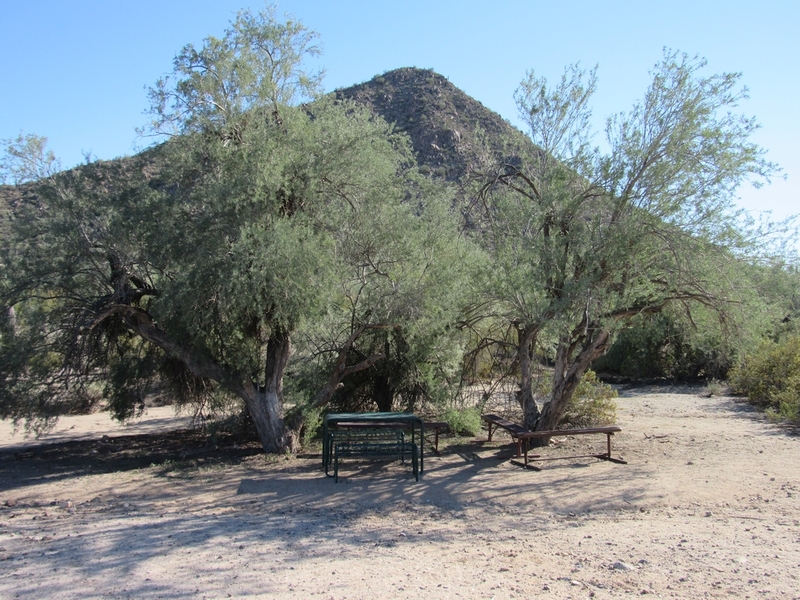 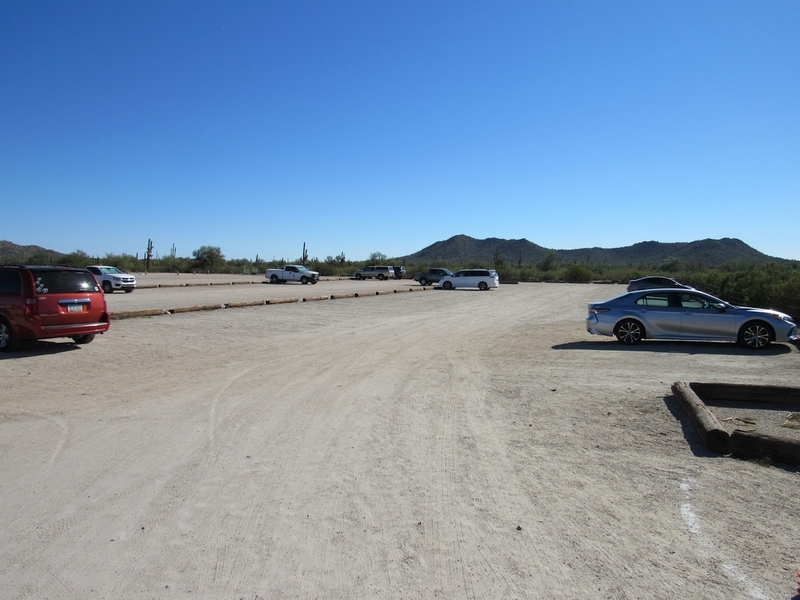 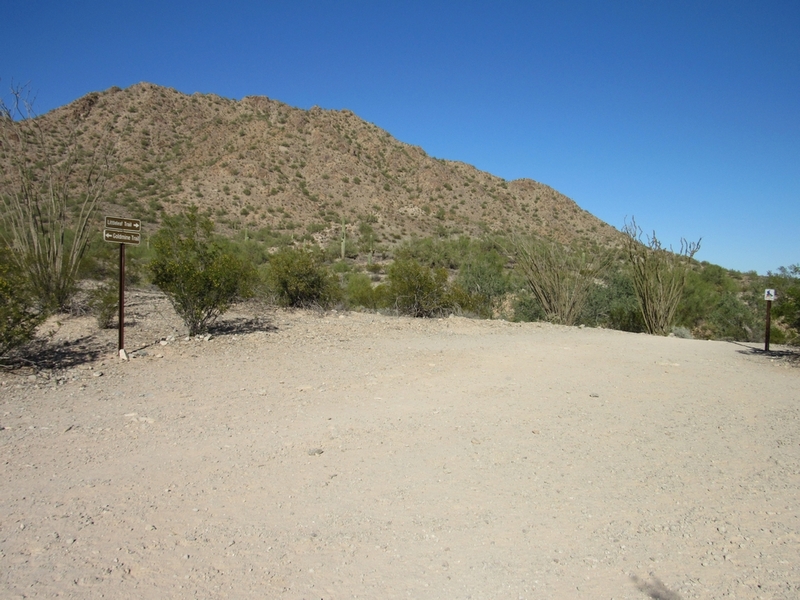 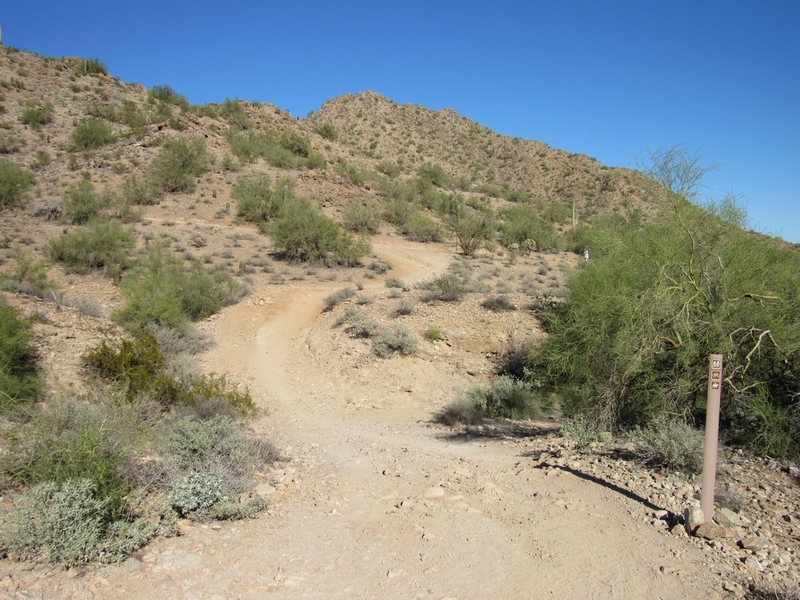 Located just south of the Maricopa / Pinal County line near the Town of Queen Creek, San Tan Mountain Regional Park has been used for decades for various recreational activities. 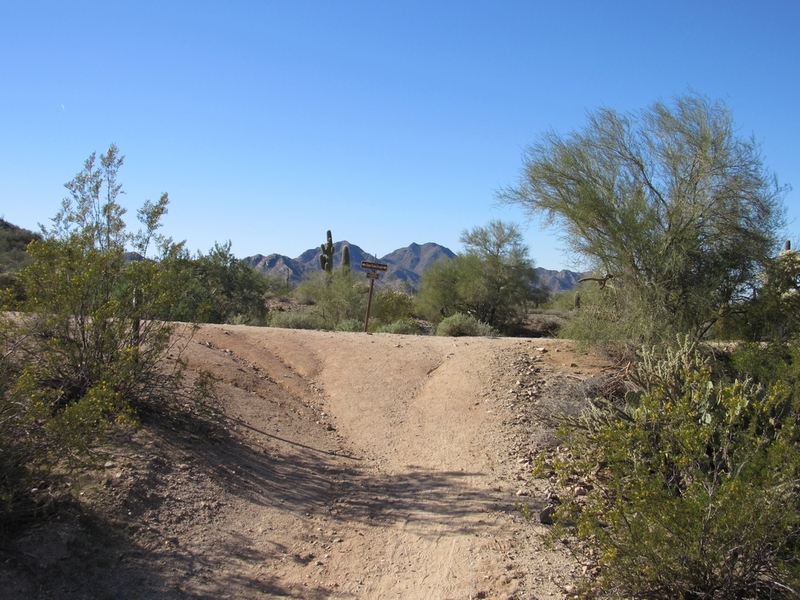 It offers over eight miles of trails for hiking, mountain biking and horseback riding. 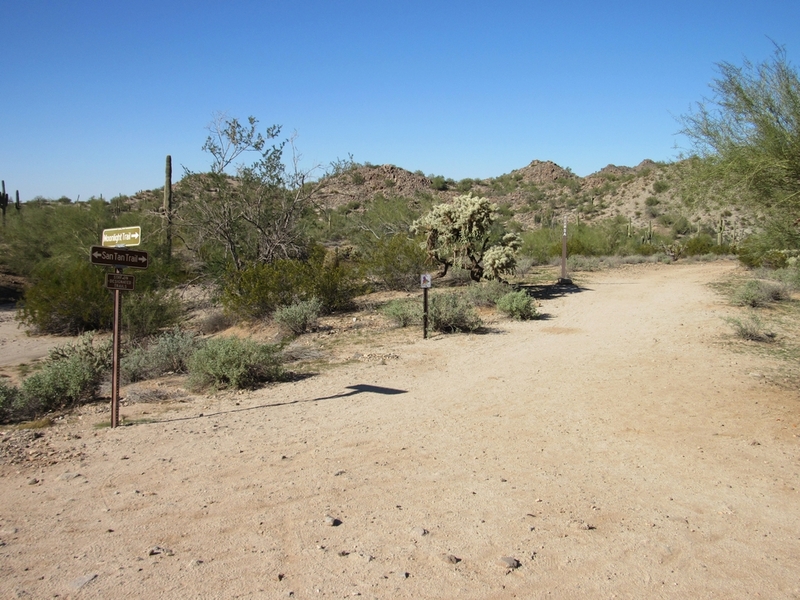 Park trails range in length from 1.1 miles to over 5 miles, and range in difficulty from easy to strenuous. 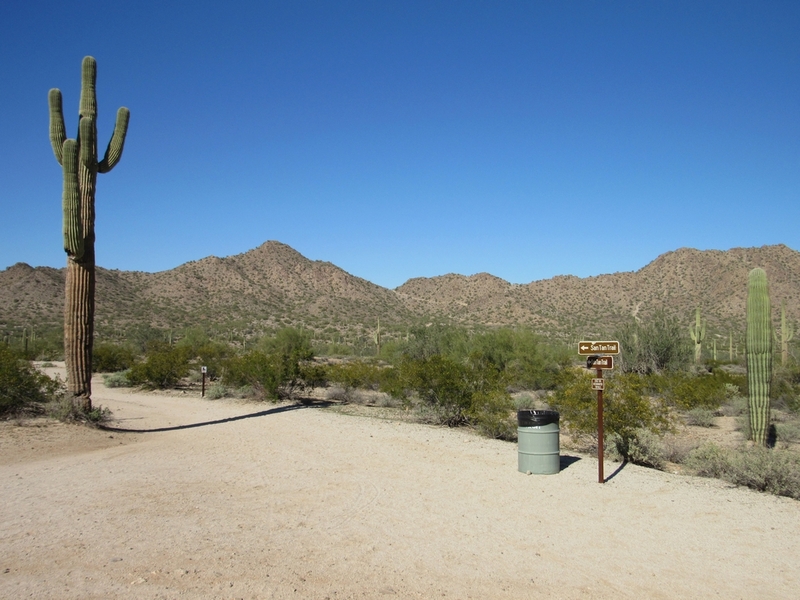 The park encompasses over 10,000 acres and preserves a portion of the San Tan Mountains. 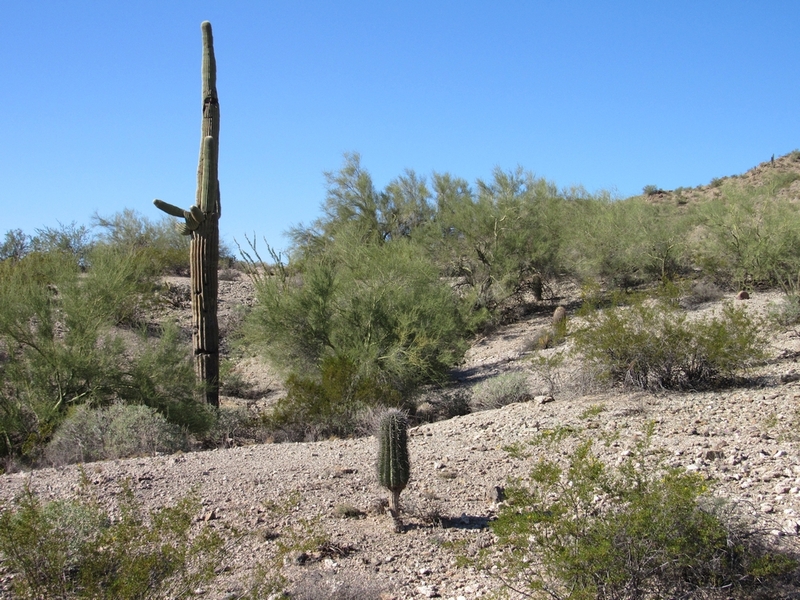 It is rich with unique historical, cultural, and biological resources. 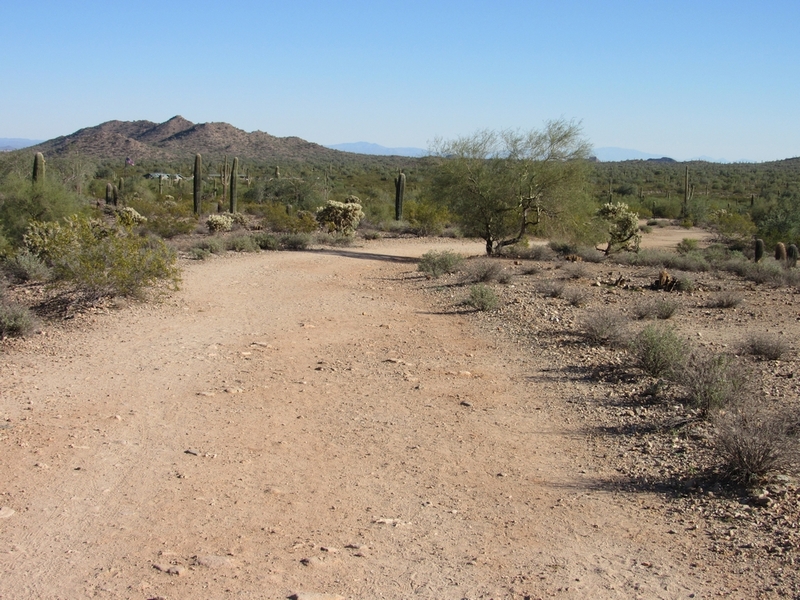 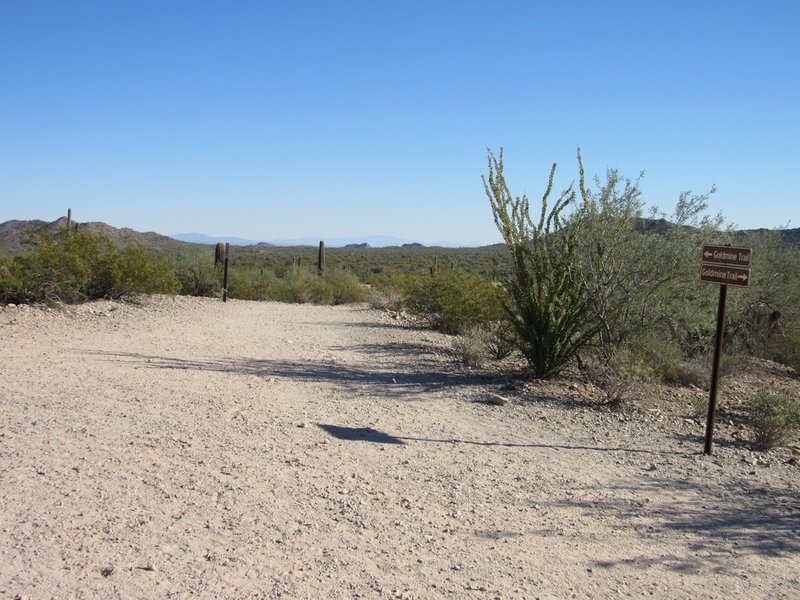 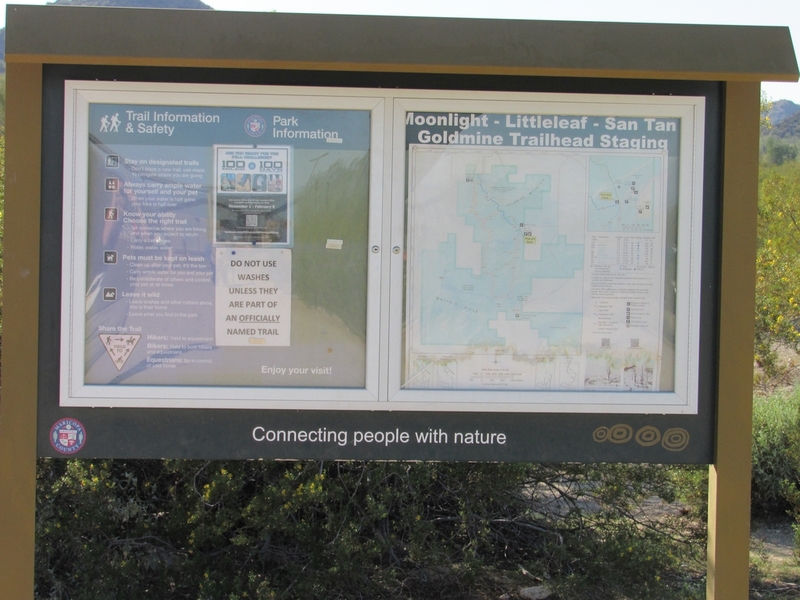 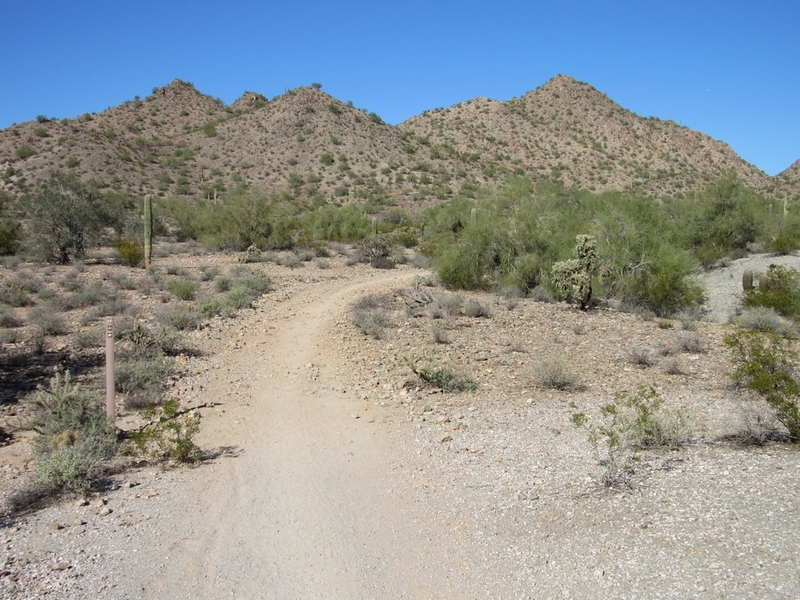 The trails within the San Tan Mountain Regional Park are very popular because they offer a unique perspective of the lower Sonoran Desert with wonderful wildlife, plant-life and scenic mountain views. 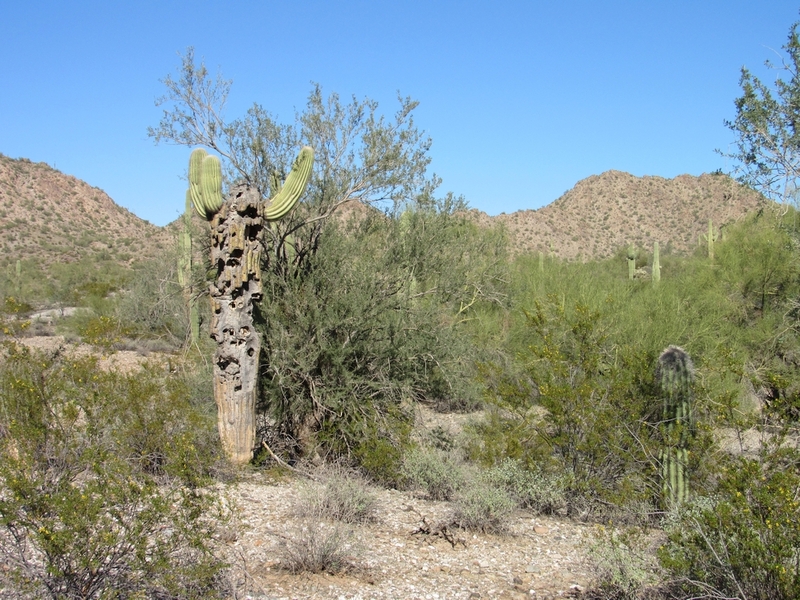 Don’t forget to keep an eye out for javelinas, coyotes, and Gila Monsters! 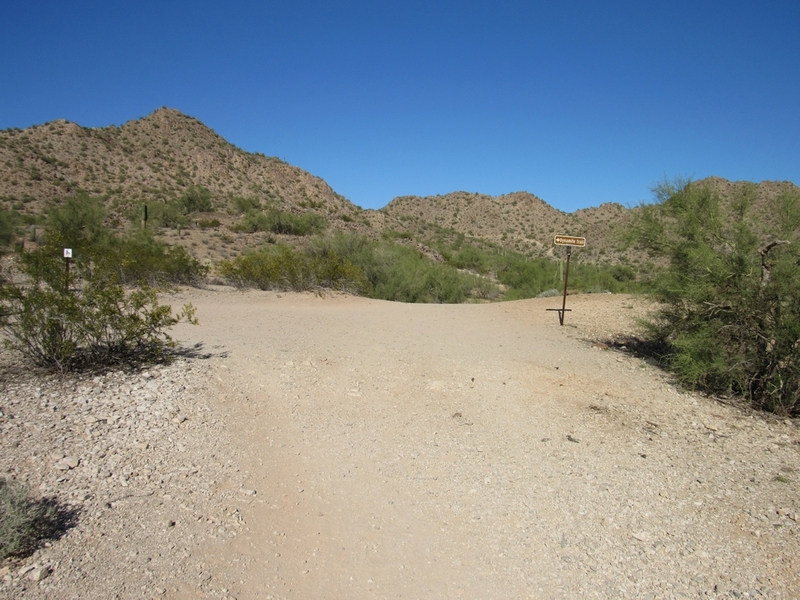 If you are looking for an easy, relatively short hike, the Moonlight Trail is the perfect choice, as it provides a scenic and rather mild hike for all to enjoy. 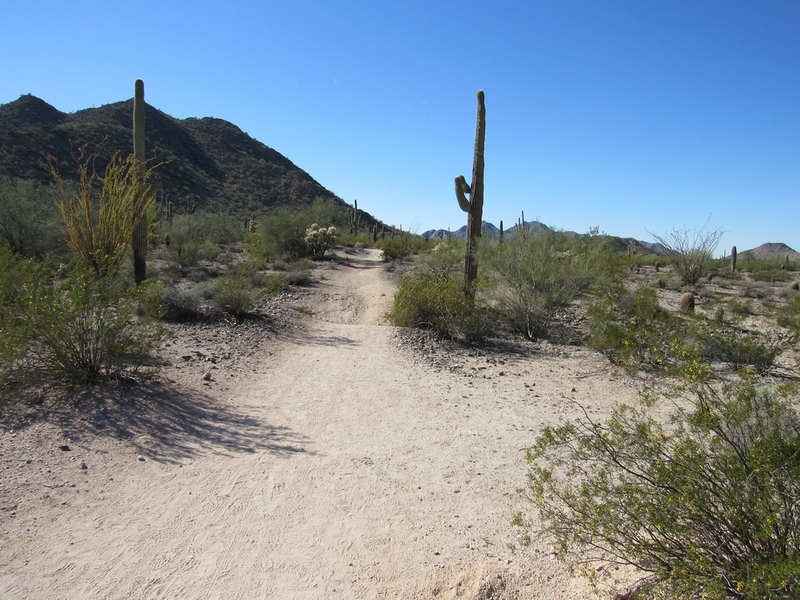 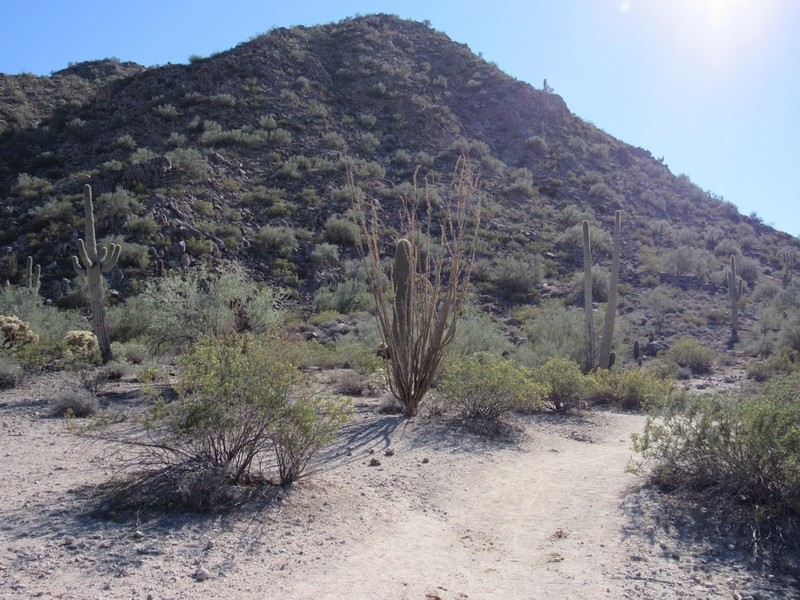 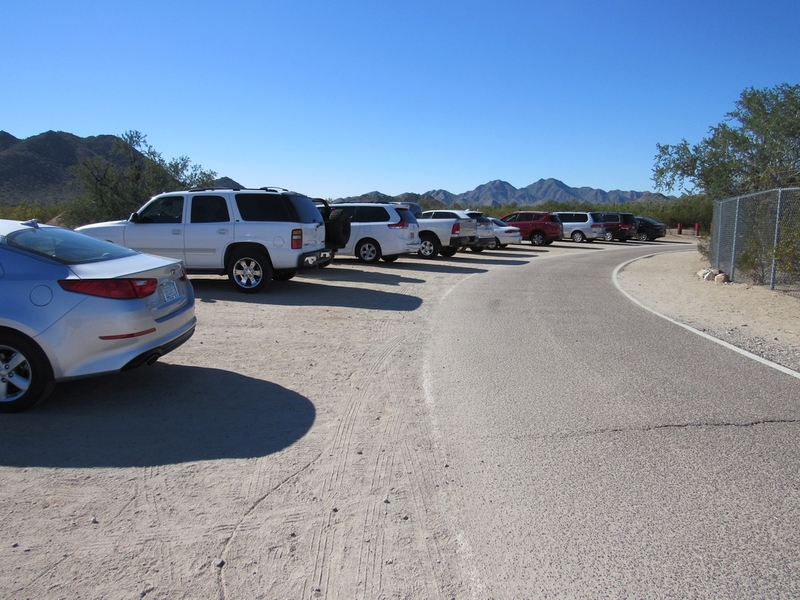 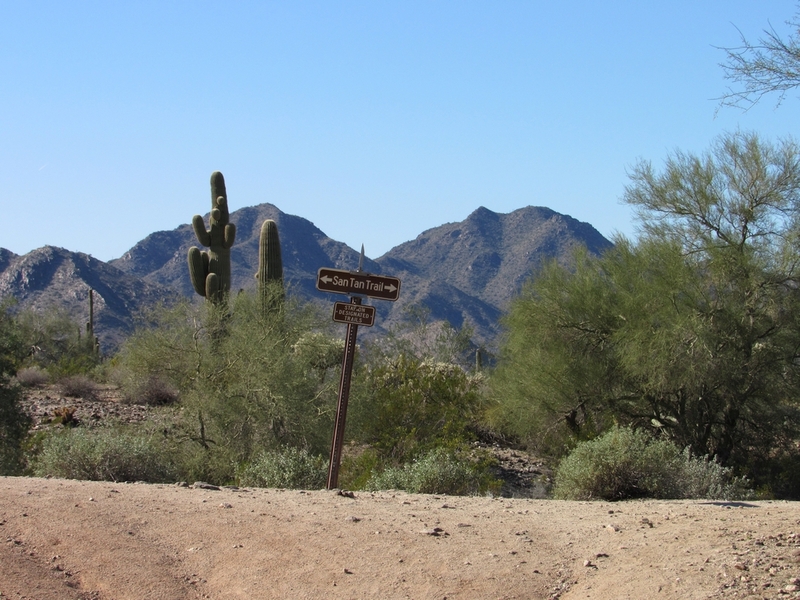 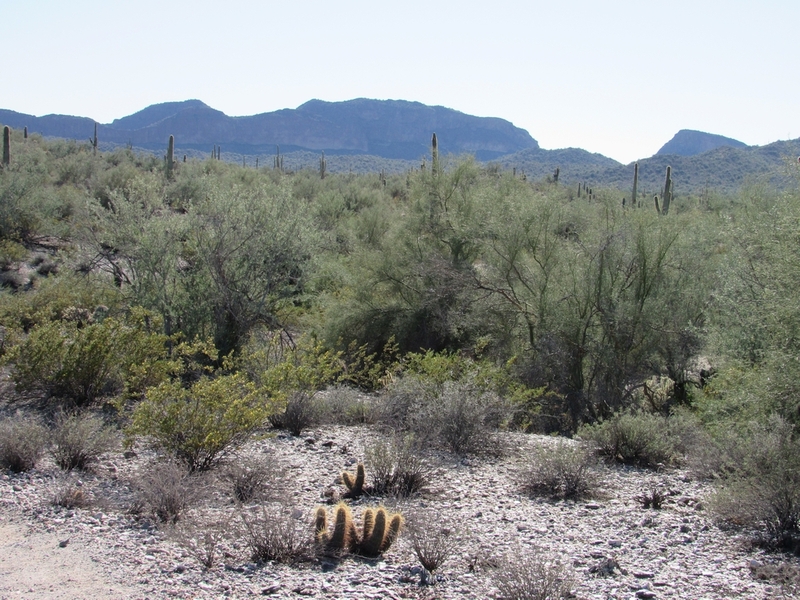 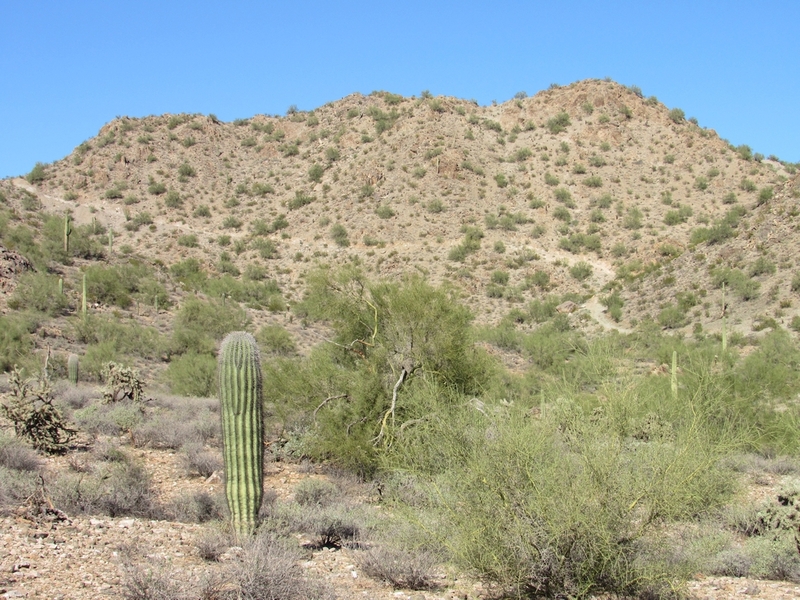 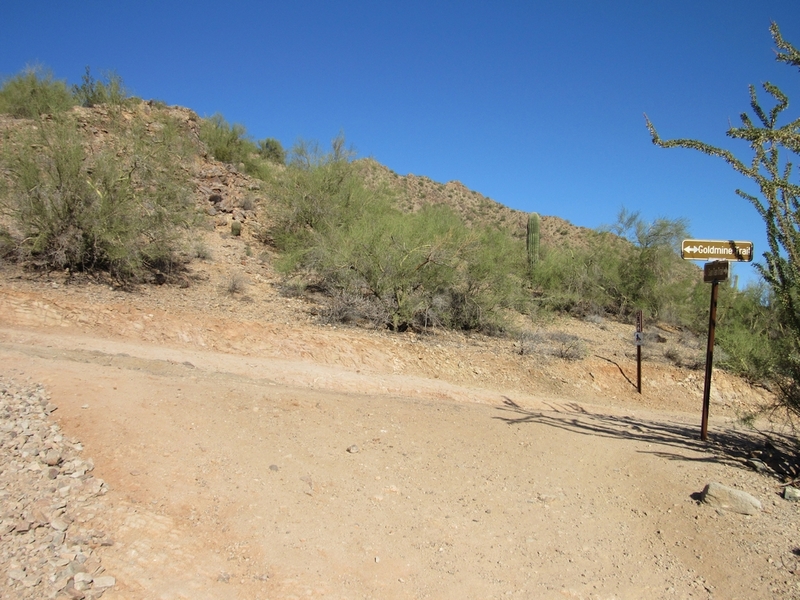 If you are looking for a longer more difficult hike, try the 5.1-mile San Tan Trail. 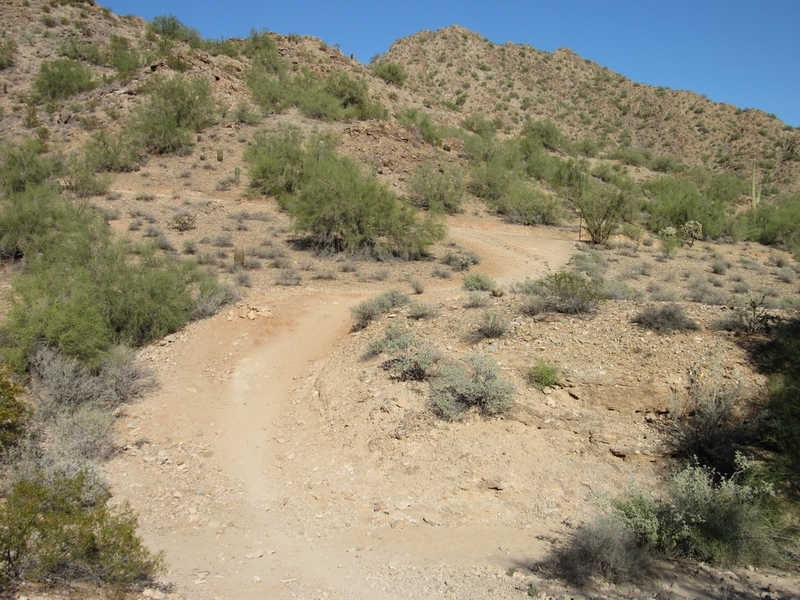 This trail winds you through the Broken Lands and Central Valley portions of the park to the top of the Goldmine Mountains. 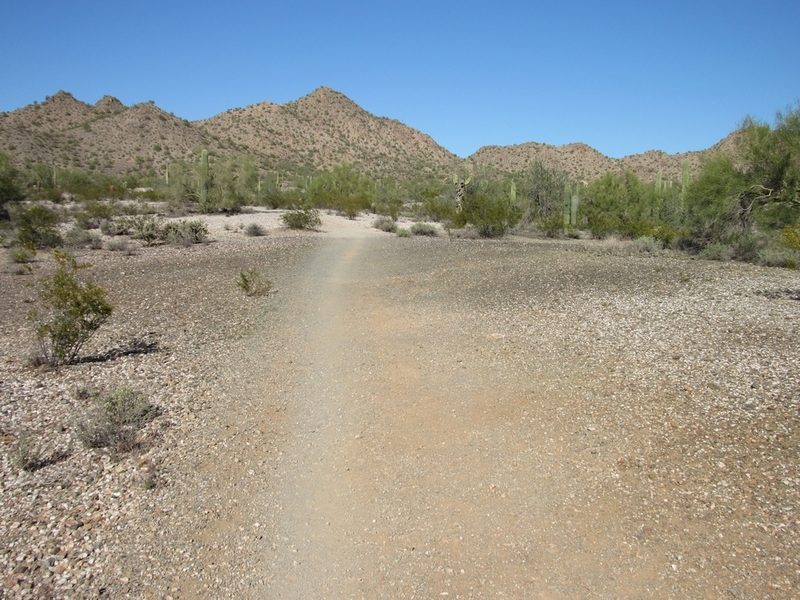 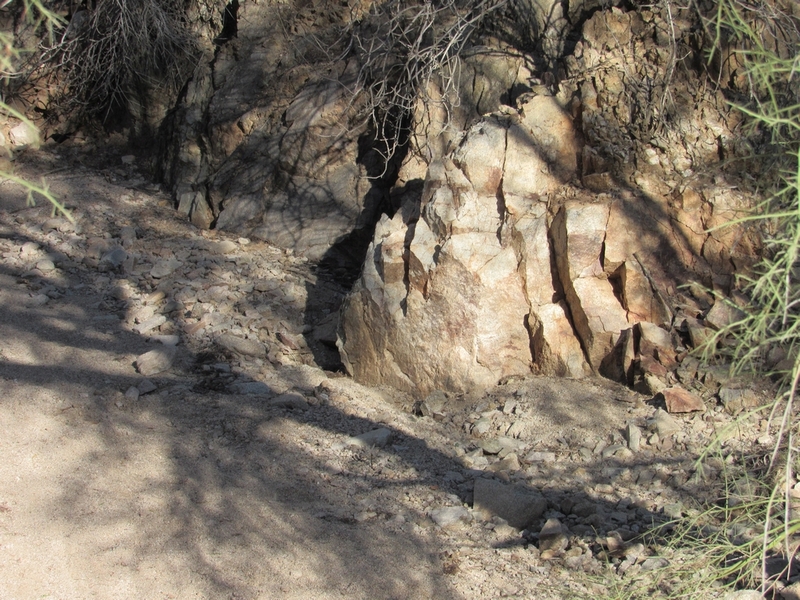 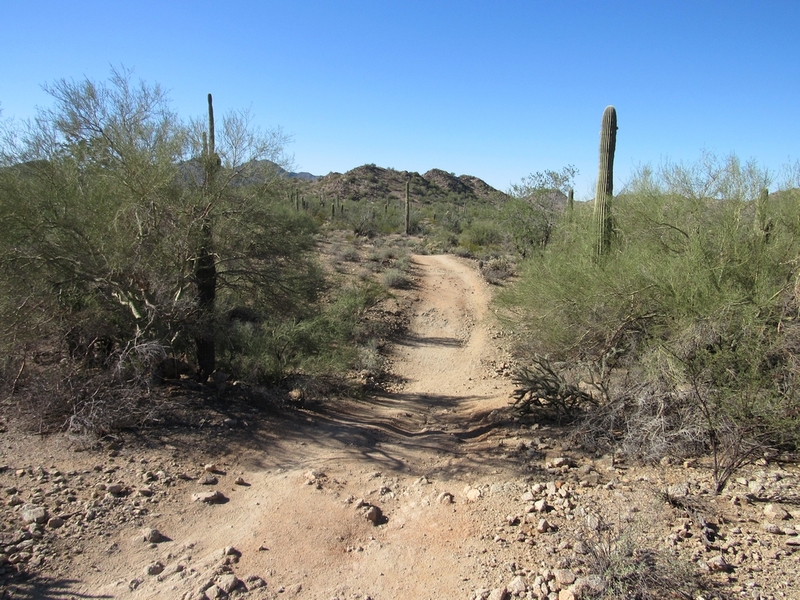 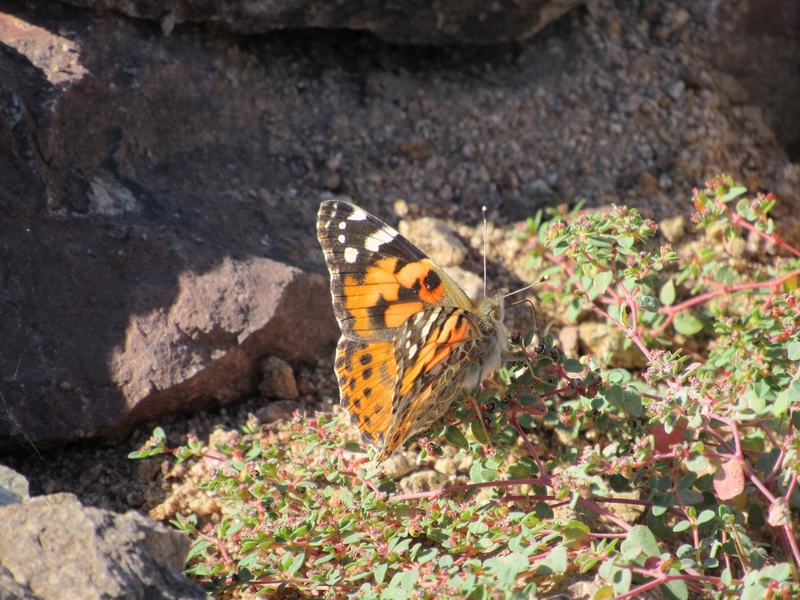 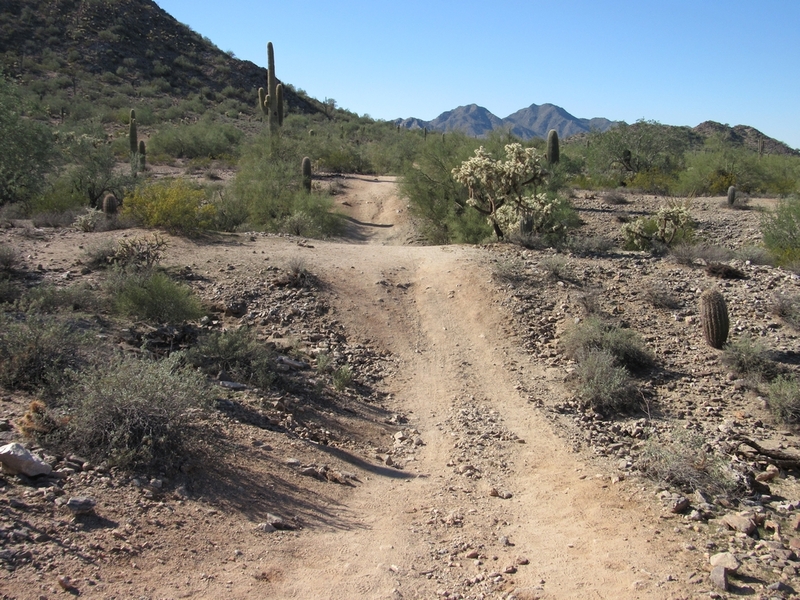 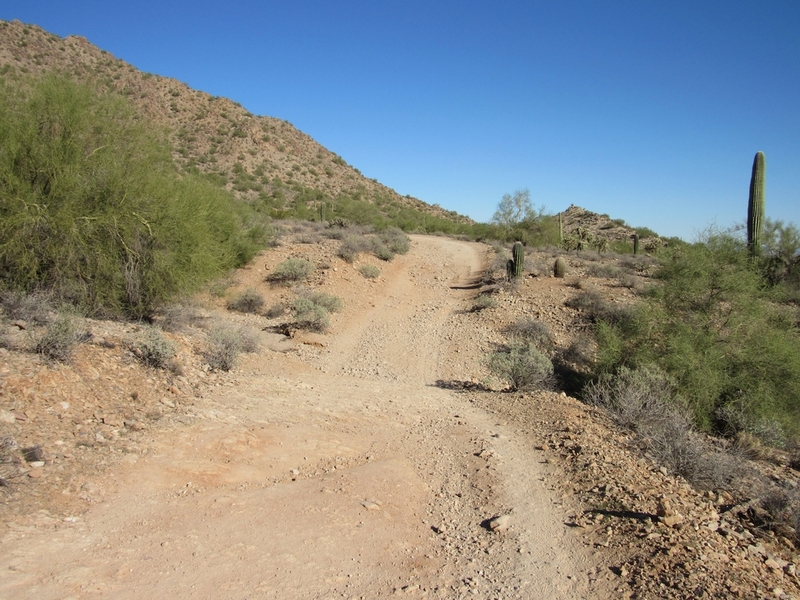 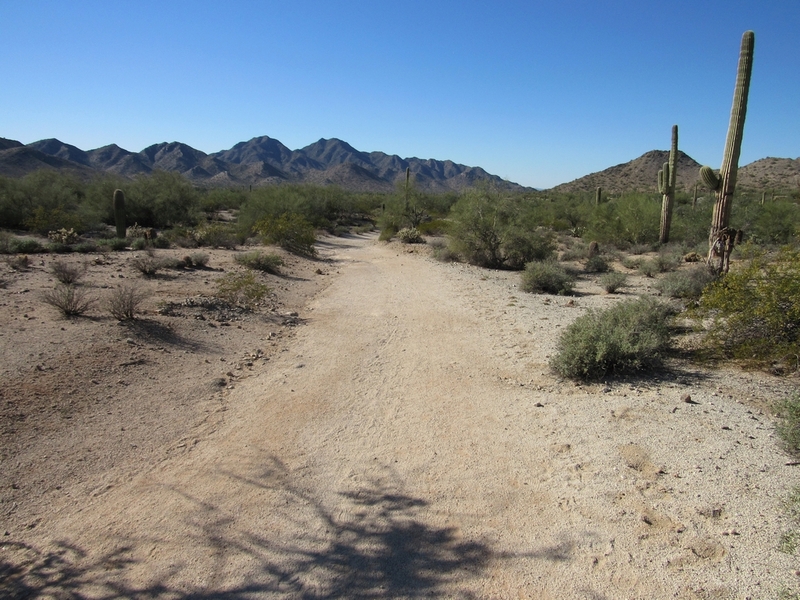 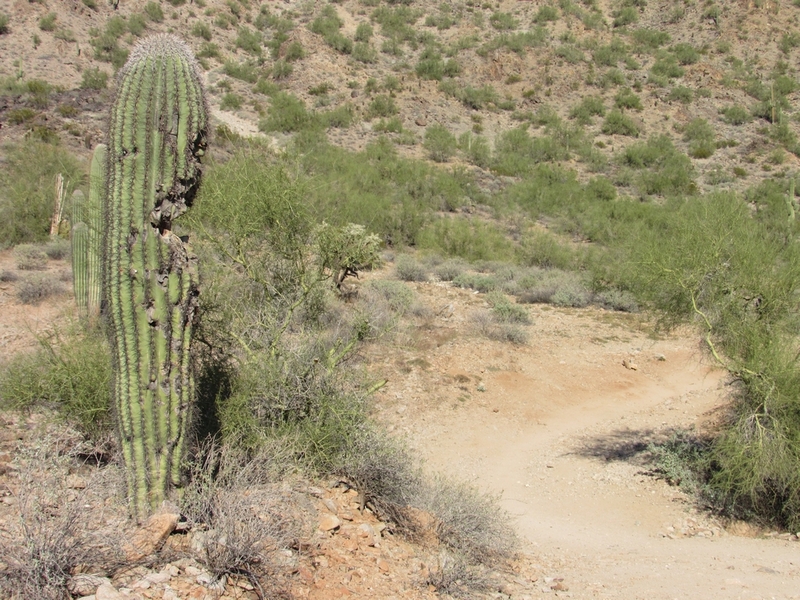 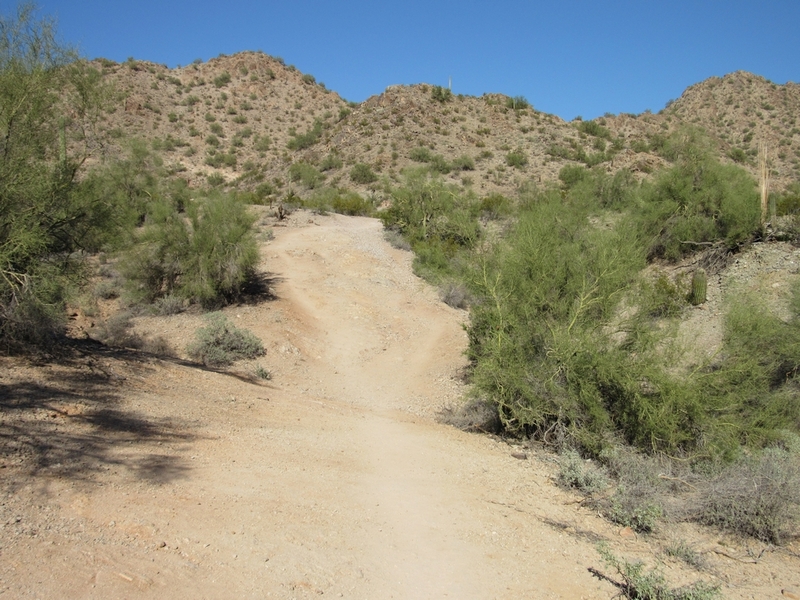 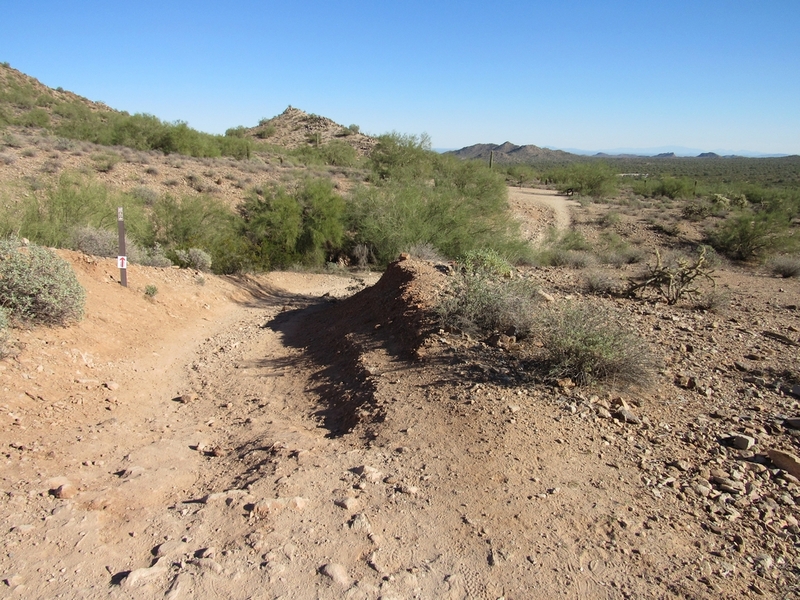 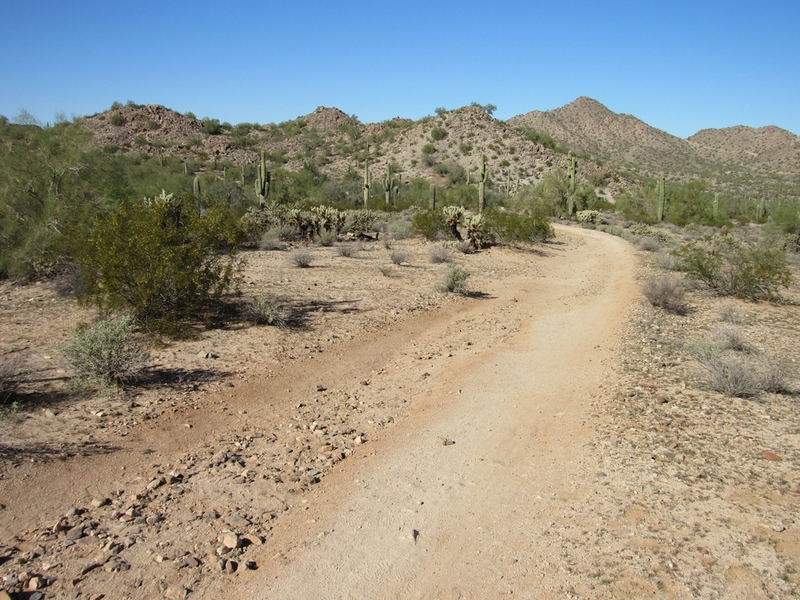 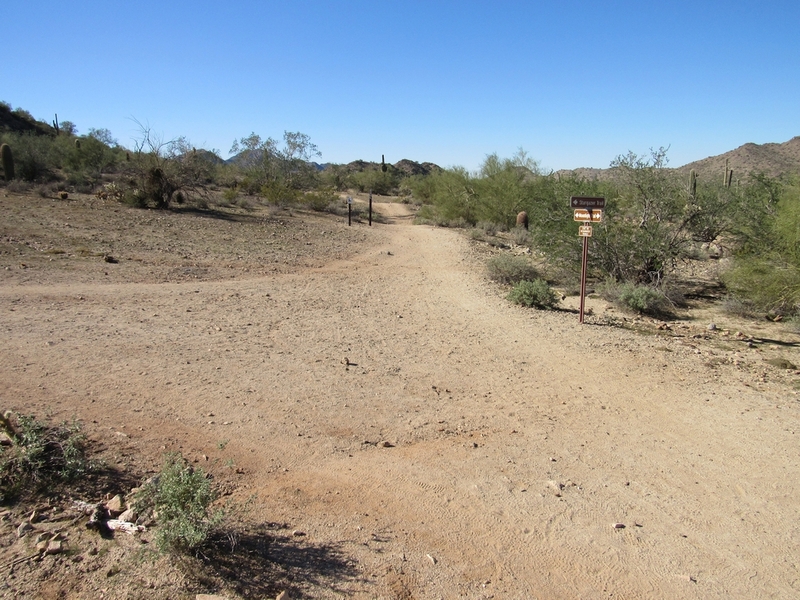 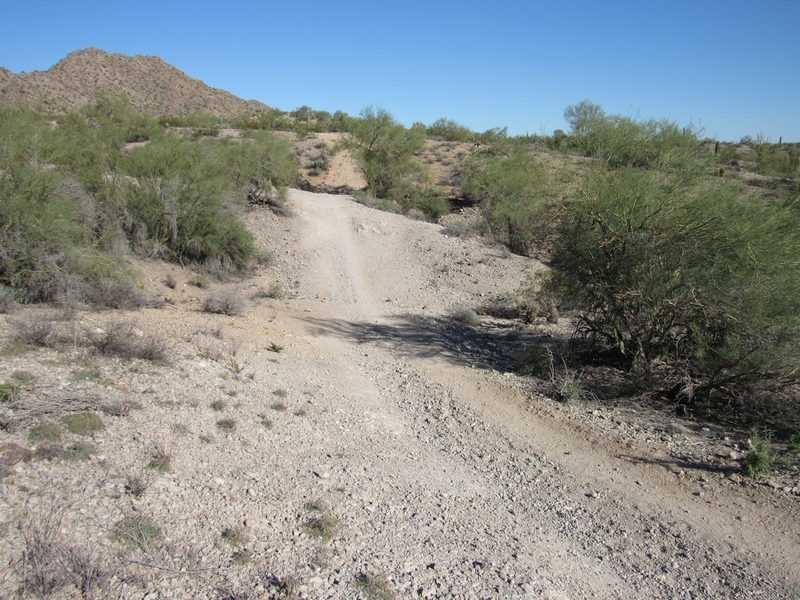 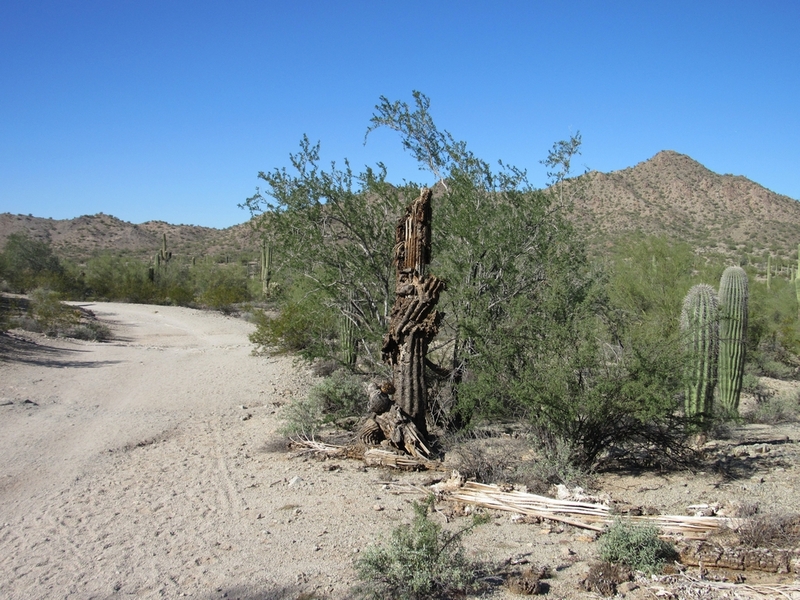 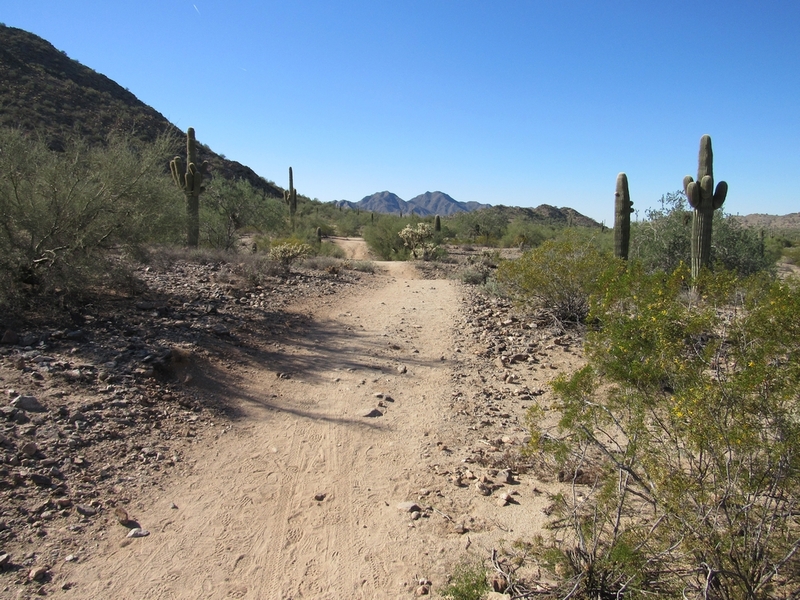 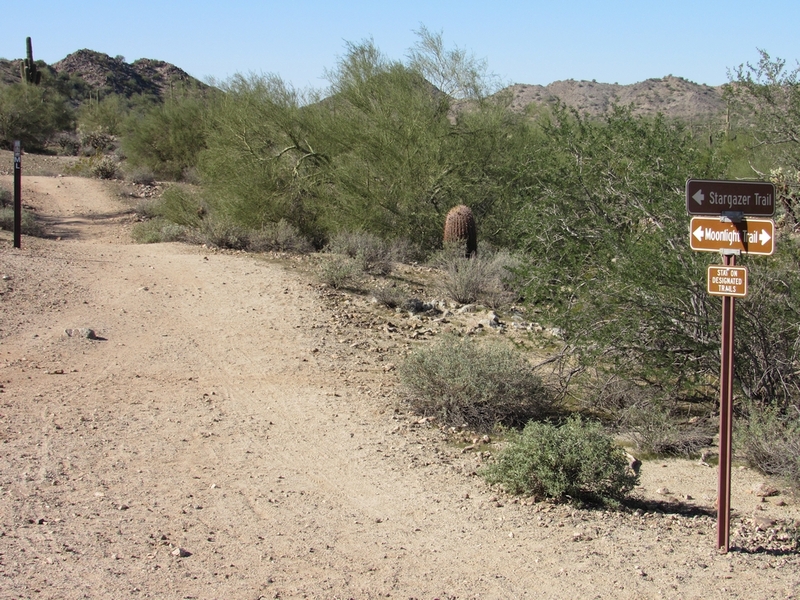 In addition to its length, some may consider certain areas of the San Tan Trail difficult due to washes, soft soil and slick or rocky steep mountain slopes. 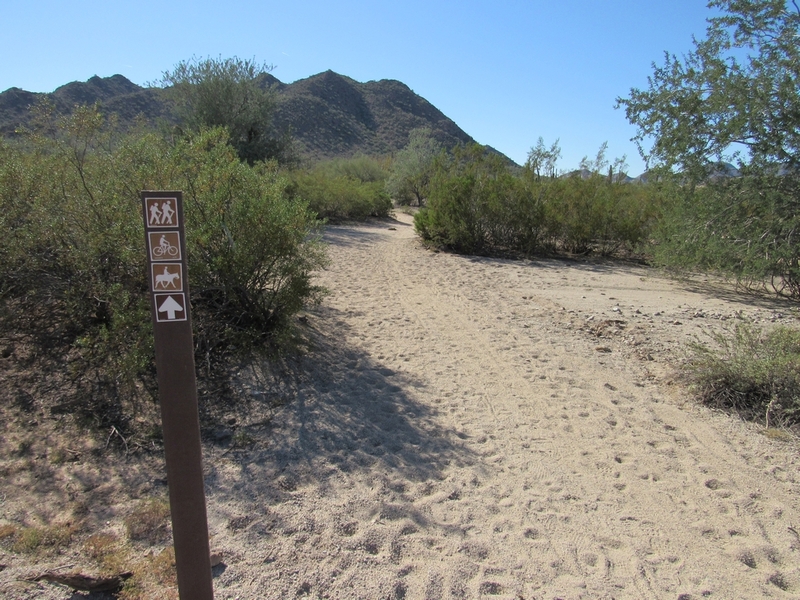 You can combine multiple trails and create your own hiking loop, matching your fitness level and time you have available. 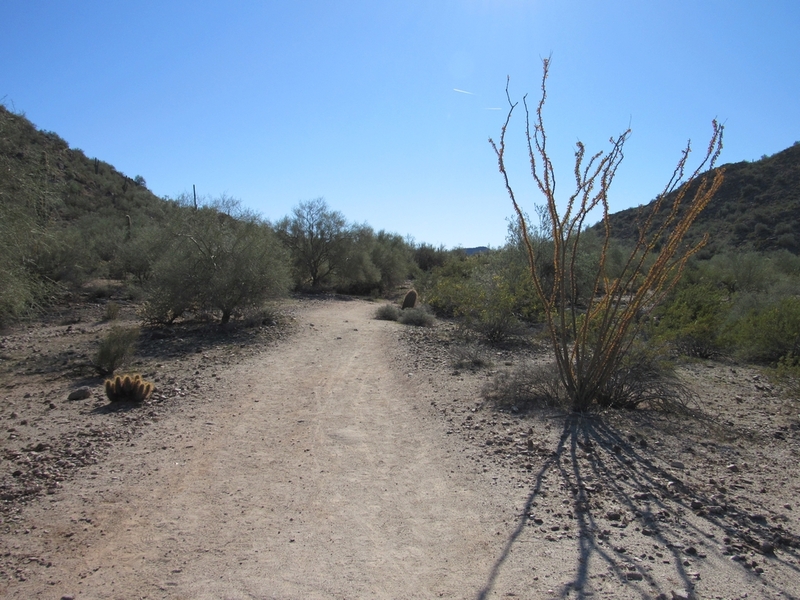 If you’re looking for a moderate hike that is about 3.5 miles long and will take about two hours to complete, including time spent admiring the views and nature, consider completing this Moonlight Trail / San Tan Trail hiking loop. 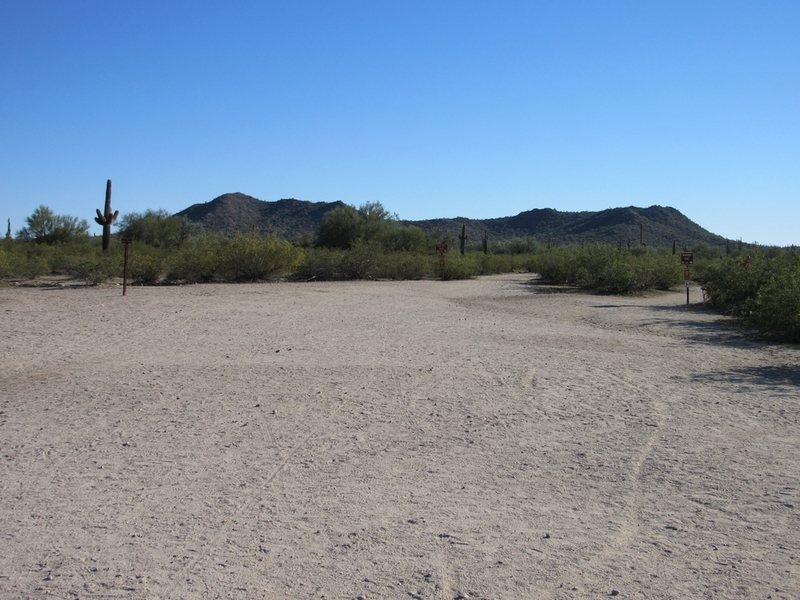 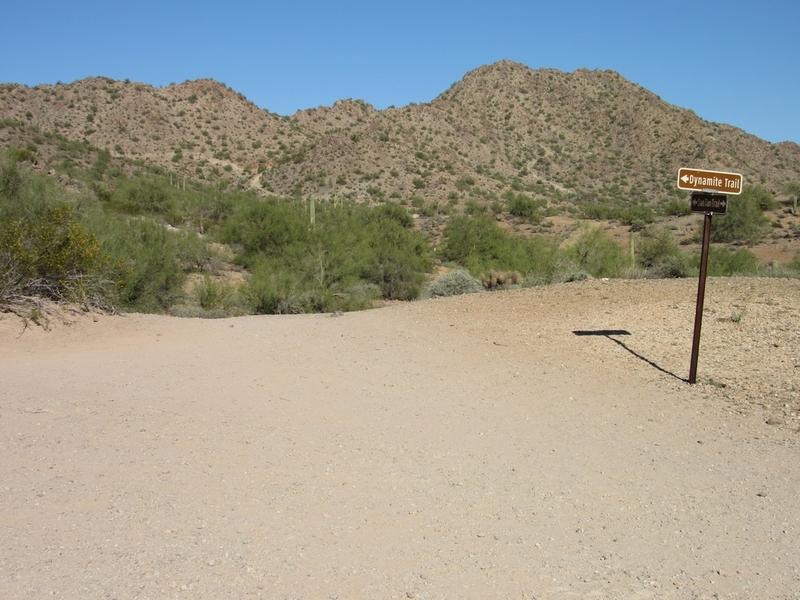 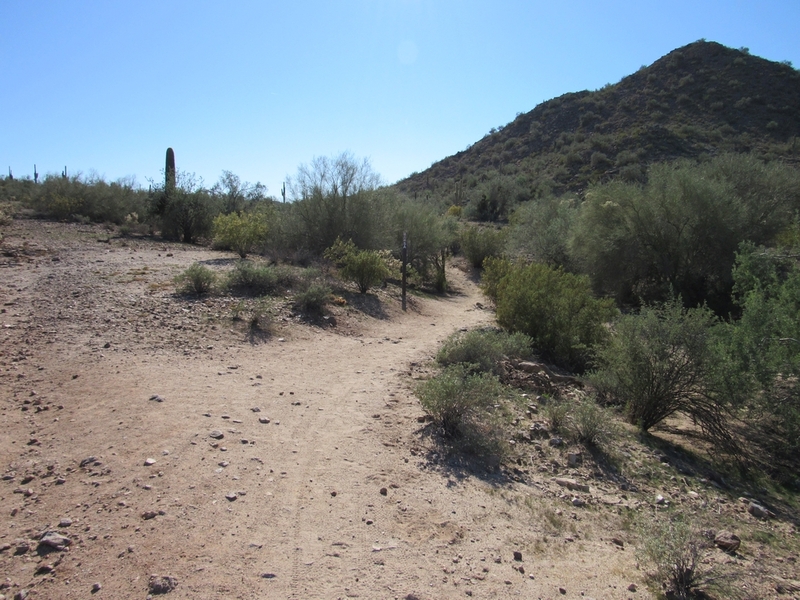 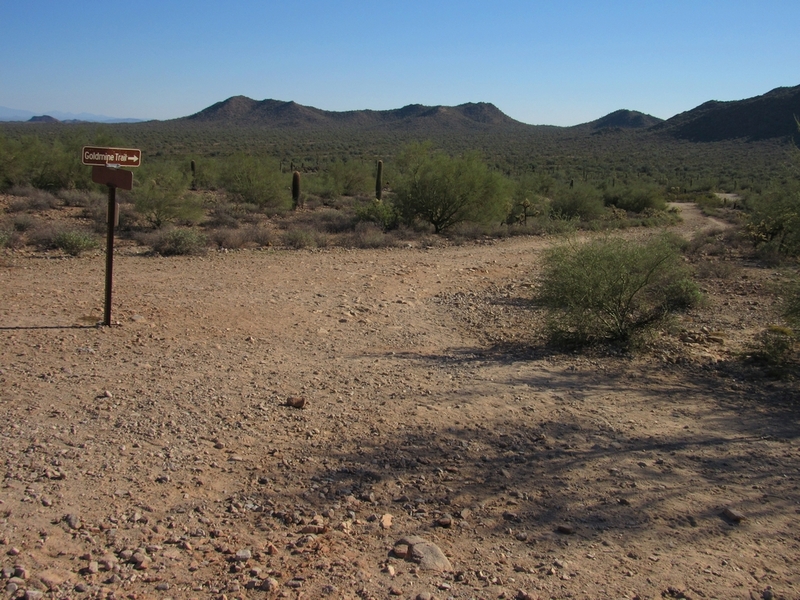 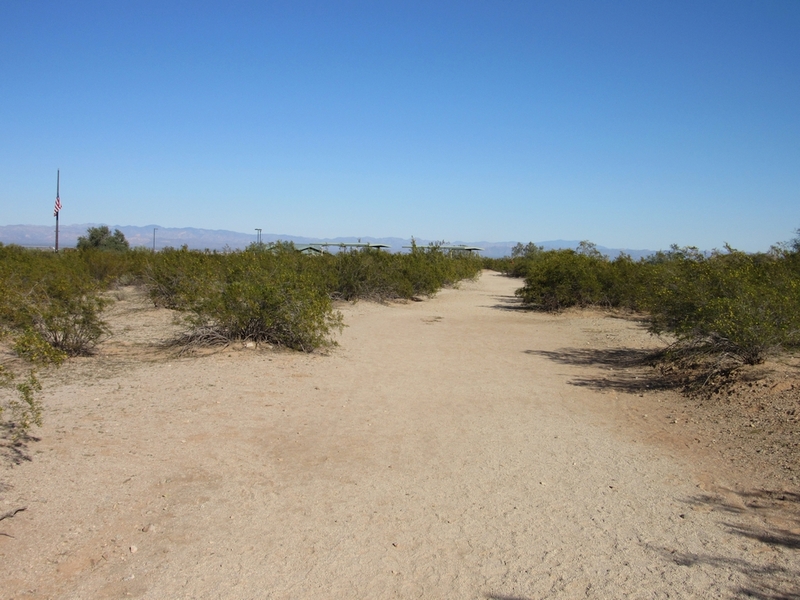 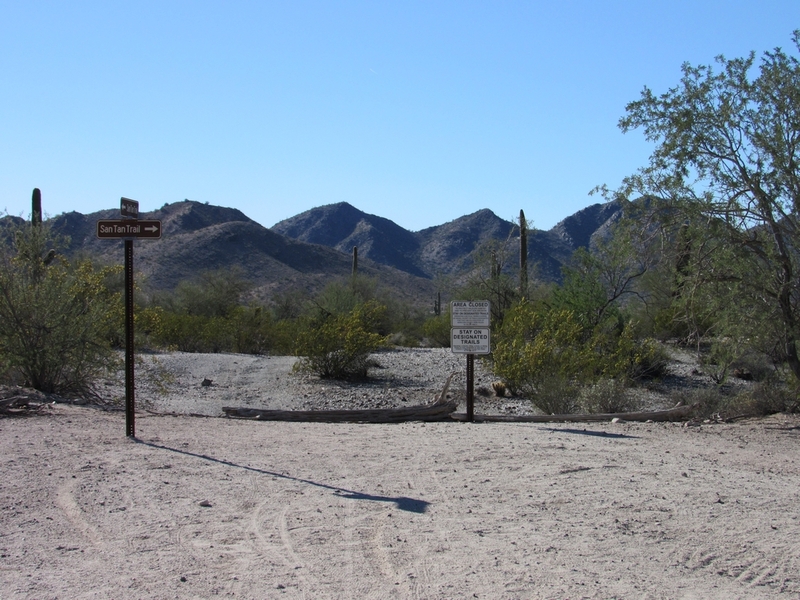 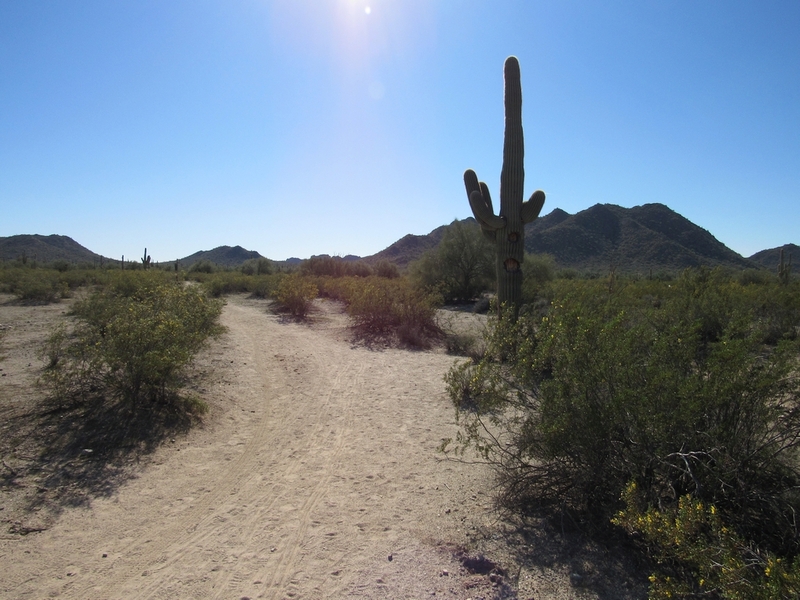 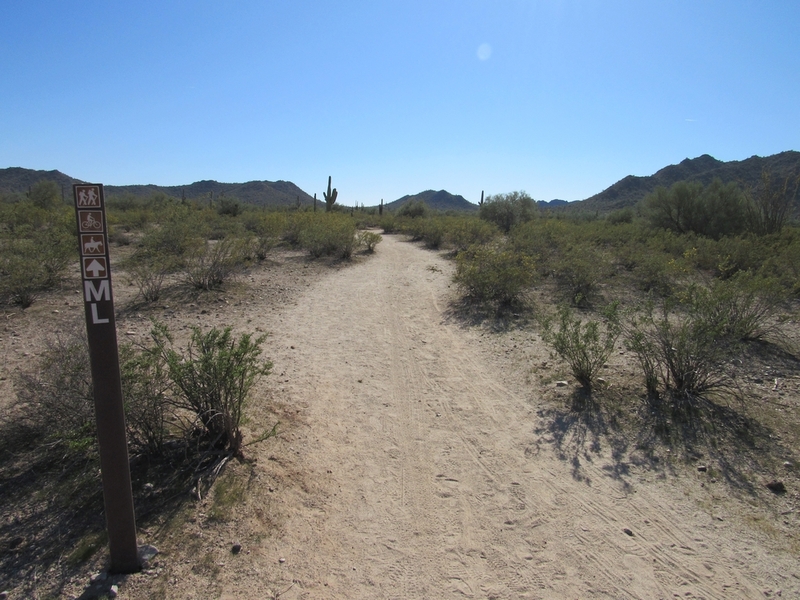 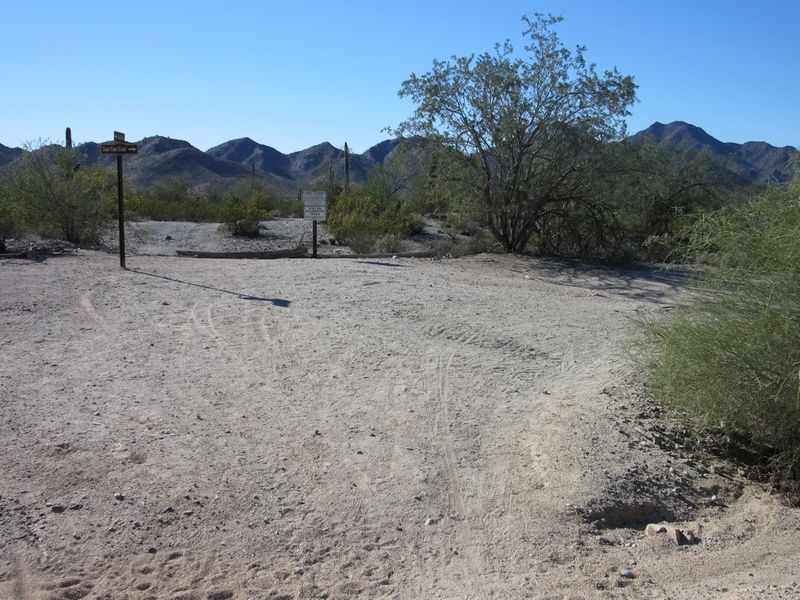 You will follow the Moonlight Trail which is 1.2 miles long, after which you connect with the last section of the San Tan Trail which adds another 2.3 miles to complete this loop. 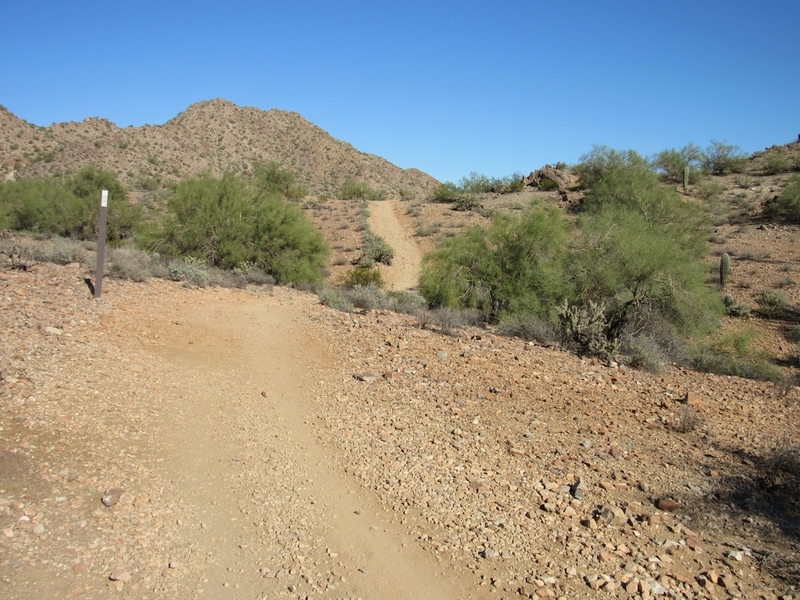 This hike starts at the main trailhead and brings you back to the same spot, with almost no elevation changes, therefore is suitable for almost any fitness level. 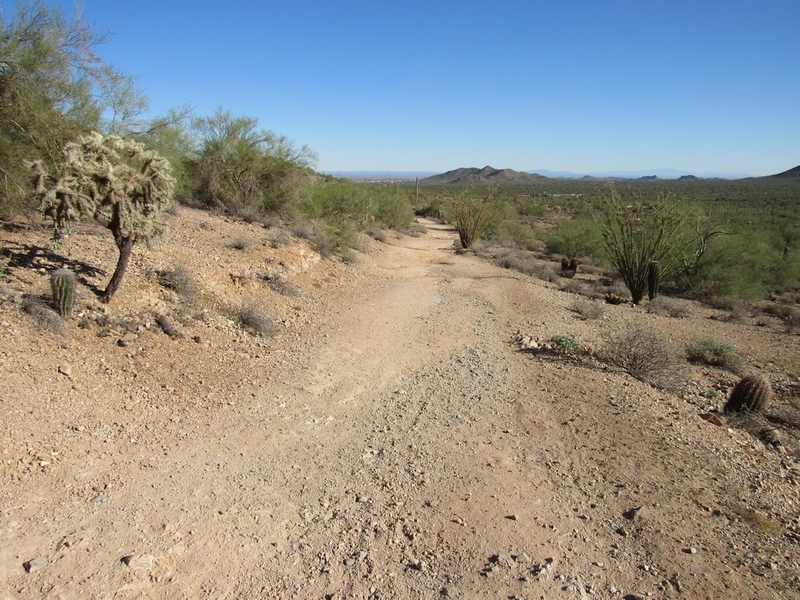 This is a desert hike however and some sections are really sandy.